The North American Indigenous Games is an international multi-sport event, involving North American Indigenous athletes from Canada and the USA, staged intermittently since 1990. The Games are governed by the North American Indigenous Games Council, a council of representatives from 13 provinces and territories in Canada and 13 regions in the United States. The North American Indigenous Games (NAIG) promotes and encourages the cultural, spiritual and traditional values of the peoples it is representing. In their activities they promote and encourage holistic individual development that assures mental, physical, emotional and spiritual growth. 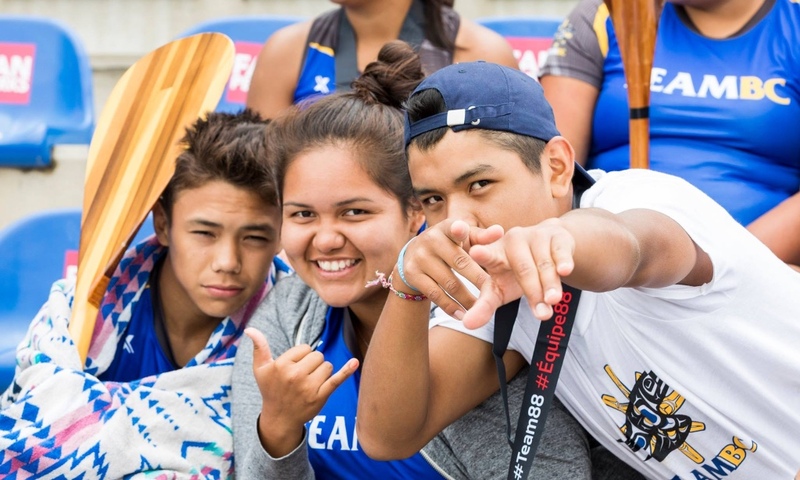 The NAIG is now exclusively an event for youth athletes aged approximately 13- to 19 years. The first Indigenous Games were held in 1990 in Edmonton, Alberta, followed by Games in Prince Albert, Saskatchewan in 1993; Blaine, Minnesota in 1995; Victoria, British Columbia in 1997; Winnipeg, Manitoba in 2002; and Denver, Colorado in 2006; and Cowichan (Duncan) in 2008. At the 2014 NAIG in Regina, Saskatchewan, Team BC made history as the first team to be awarded both the Overall Team Award (for most medals) and the John Fletcher Spirit Award for being voted team with most integrity and sportsmanship. After a week of competitions at the Toronto 2017 North American Indigenous Games (NAIG), Team BC has won the Overall Team Title. Team BC competed in 13 sports and won a total of 176 medals (65 gold, 57 Silver, 54 bronze) over the course of the competition week. This put the team in first place, 12 medals ahead of Team Saskatchewan. This is the second time BC has won the Overall Team Title at the NAIG. 3D Archery, Athletics (Track & Field, Cross-Country), Badminton, Basketball, Canoe/Kayak, Golf, Lacrosse (Box), Rifle Shooting, Soccer, Softball, Swimming, Volleyball, Wrestling. For more information on the Team BC program, please visit the Team BC menu items. For more information on NAIG, please visit www.naigcouncil.com.